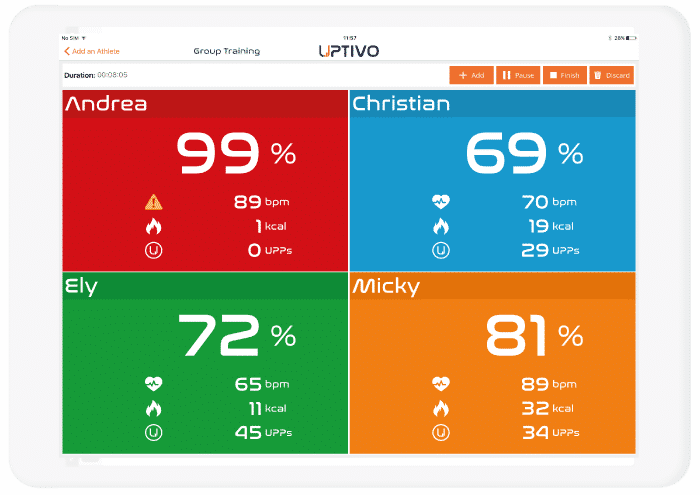 Uptivo Bridge is at the core of your Club’s Uptivo solution: it acts as a receiver for heart rate sensor telemetry to display individual and group based real-time training zones on a screen or projector, improving members motivation and giving trainers a powerful tool to assist their trainees. 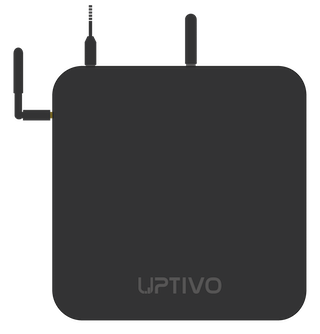 The Bridge connects to the Club’s Ethernet or WiFi network and stores all the training data to the Uptivo Cloud. Uptivo Cloud deploys the best tools for a professional and engaging management of your club members’ workouts. Targeting the training to members’ age and fitness level, motivating them with rankings and medals, creating a cohesive social group with an active community by sharing targets and progress on social media: these are just some of the advantages that Uptivo provides to make your Club an exclusive fitness environment. 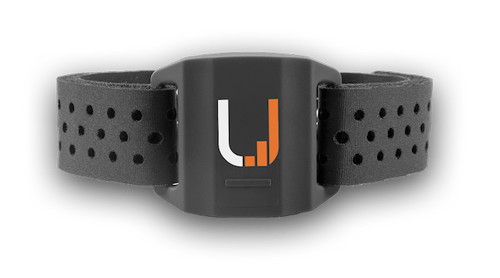 Uptivo Belt is a chest-based heart rate monitor with an accuracy comparable to EKG readings. The monitor can be used to track your workout in the open air, at the club, or at home – helping you reach your fitness target. The Belt is perfectly suited for use with the Uptivo platform for fitness clubs, works with all wearables capable of Bluetooth or ANT+ transmission, and can be paired to the most popular smartphone fitness apps such as Strava, Runtastic, Runkeeper, and more. Uptivo Replacement Strap is a flexible fabric, high quality washable strap. It is compatible with the following chest-based heart rate sensors: Uptivo Belt, Polar H7, Wahoo Tickr, Garmin Premium. 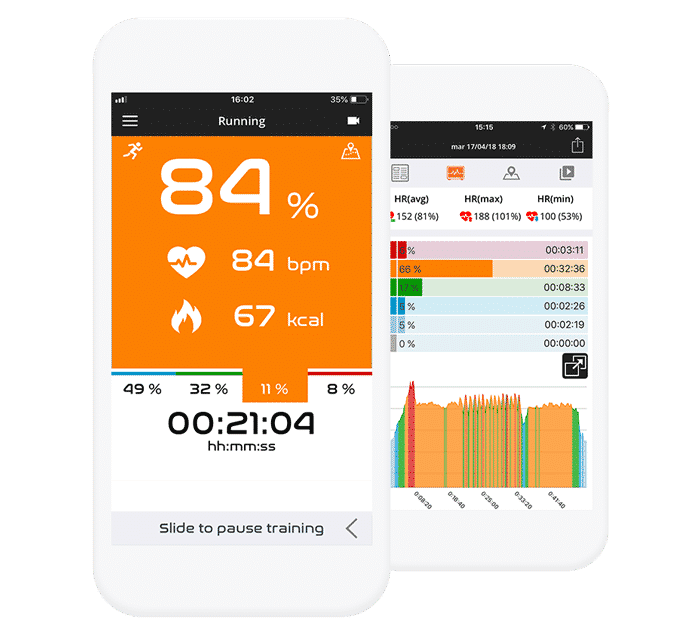 Uptivo App provides real-time information to help you monitor your training and adjust the workout intensity, makes available a training journal to track your progress, and allows you to check your cardio fitness level and get an immediate feedback. Download the Uptivo App on your iPhone or Android smartphone! 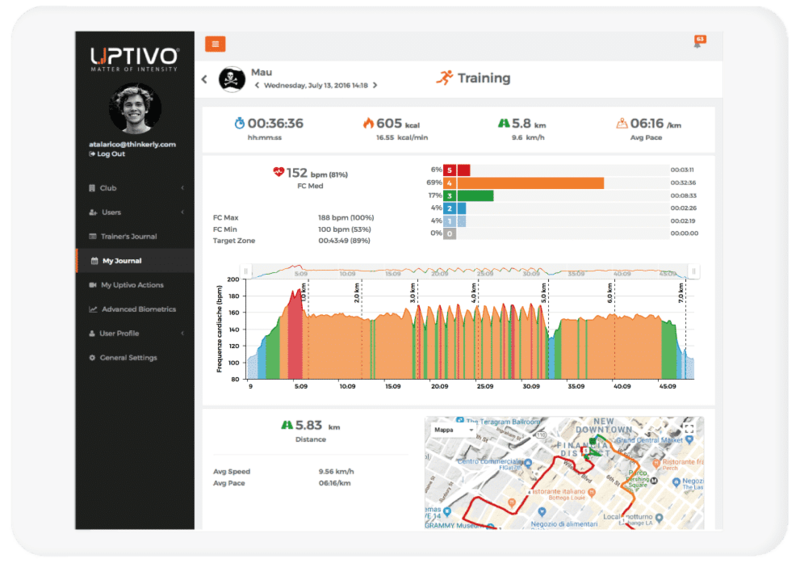 The Uptivo Trainer app is a powerful tool for helping to setup individual or group (up to 40 participants) training sessions in the open air. The app monitors and displays the duration, heart rates, calories, HR training zone splits, and more. At the end of each session, all individual and group reports are available to trainers in order for them to review the training results and to compare individual performances.